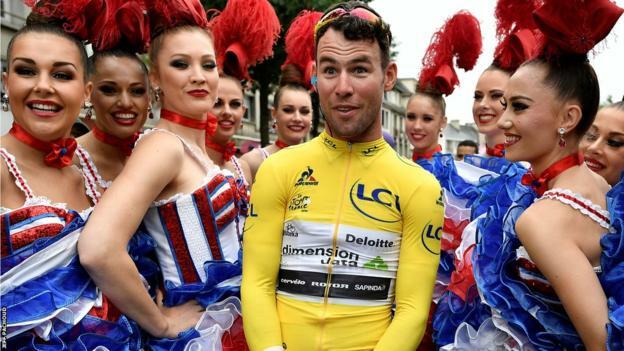 Road cycling: British Olympian Mark Cavendish won two of the first three stages of this year's Tour de France, moving him joint second on the event's all-time list with 28 victories. Cavendish will ride on the track in the omnium in Brazil in a bid to win a first Olympic medal but it was a different gap in his incredible CV - the Tour de France's coveted yellow jersey worn by the overall leader - that he ticked off with his first-stage victory. The Manxman's subsequent triumph on stage three moves him level in the competition's history with Frenchman Bernard Hinault; only 34-time stage winner Eddy Merckx of Belgium is ahead of him. Athletics: Usain Bolt's attempt to become the first man to win the 100m, 200m and relay at three consecutive Olympics is in doubt after he suffered ahamstring tear during the Jamaican Olympic trials. Bolt expects to be fit for Rio but he has yet to set the qualifying time needed in the 200m, having not competed in the event since last August. His intention remains to run over 200m at the Anniversary Games in London. Bolt's arch-rival Justin Gatlin set the fastest 100m time of 2016 to secure his Rio qualification at the US trials, clocking 9.80 seconds. Boxing: Ten men and two women will make up Great Britain's largest Olympic boxing team for 32 years after their selection for Rio was confirmed. Olympic, world and Commonwealth champion Nicola Adams is aiming to become Britain's first two-time Olympic boxing champion. British men qualified in all 10 weight divisions, and Joe Joyce will compete at super heavyweight. The team consists solely of amateur boxers, even though professionals are eligible to compete in the Olympics for the first time in Rio.